Percent Off vs. Dollar Discounts: The Psychology of Promotions. Nearly every brand and retailer use discounts and other promotions to grow their business. Successful promotions have the power to create a favorable brand image and deliver a targeted product or products to new and returning customers, all while boosting long-term profitability and sales. And yet, 20-50% of promotions generate no noticeable lift in sales, or worse have a negative impact. Another 20-30% dilute margins so much that they fail to generate enough of an increase in sales to offset promotional costs. Research in consumer psychology has shown that buyers don’t think of numbers, such as percentages and prices, in completely rational or cogent terms. Knowing that, how can marketers craft sales promotions that can successfully increase profits? What makes something seem like a good deal? Below I’ll outline an example that highlights some of the unpredictable results of discount promotions. Gabrielle’s Furniture Store is running two promotions simultaneously. One offers $50 off of a product , while the other offers 15% off of the same product. For the sake of simplicity, we’ll say these offers can be applied exclusively to a couch which costs $350. Which offer is the better deal for the customer? Which deal will perform better for the retailer? It doesn’t matter how great an offer is if customers don’t use it. In order to entice consumers to use coupons or discounts, marketers need to create promotions that will appeal to the consumer and persuade them to buy. There are a number of marketing techniques that will make offers more persuasive including the language used in the offer, personalized offers, and the time that the promotion is offered (at check out for example). However, in our example, we’ll assume that these factors are equal and focus on which offer is perceived as the better deal by an average customer. If you do the math in our example above, the 15% off coupon offers slightly more savings than the $50 off offer. And yet, the $50 off coupon is of a higher perceived value for most consumers because 50 is a larger number than 15 and because the offer itself doesn’t require buyers to do complex math. Instead, customers can immediately see what their discount will be and the impact of the promotion. For this reason, the dollar off promotion generated more sales for the retailer. Even though it offers a smaller savings for the consumer, psychologically it feels bigger and has a greater perceived value which leads to greater results for the retailer. In general, the offer that sounds higher is usually the one that does best because what matters to customers is their initial impression of what sounds like a good deal. Adoption rates reflect this analysis, with the dollar-based discount being used in approximately 8% of transactions, and the percent-based discount being used in just 3% of transactions. Each method (percent off vs. dollars off) can outperform the other given the right circumstances. Marketing Professor, Jonah Berger offers an easy way to remember to consider psychological perceptions in what he calls The Rule of 100. This rule states that for products or services over $100, a dollar discount will be more effective. For those under $100, things reverse and a percentage discount will likely be more effective. For example, comparing the performance of a dollar off vs. percent off promotion on a $20 product may have a different result than similar promotions on the $350 couch described above. For the $20 product, I would predict that a 20% Off promotion would perform better than a $5 Off promotion even though the absolute dollar offer has an additional dollar savings for the customer. However, similar to our $350 couch example, the opposite can be true about a promotion on a product over $100. For example, comparing a 25% discount to a $30 discount on a $150 product – I would predict that the $30 discount will perform better, even though the actual savings is $7.50 less. The Rule of 100 again ties back to the idea that the larger number will be more appealing to the average consumer regardless of the actual savings offered, allowing retailers to create promotions that will perform better while offering less. Of course, determining which is the better promotion for your company depends on the total dollars spent on the order, the promotion value or margin expense, and more importantly, the goal of the promotion. Promotions should be created with a specific goal in mind, whether that goal is to increase brand awareness, create interest, generate sales, or encourage brand loyalty. Measuring whether that purpose was achieved is often a missed opportunity for improved outcomes. Promotional performance can be measured in a number of different ways including by increased movement of a product, increased basket size, net new customers, in-store traffic, repeat customer visits, program sign-ups, and more. For the sofa example above, we’ll say that the intention was to generate sales by increasing average basket size per transaction. Meaning, this promotion targeted customers already interested in buying the couch, which has relatively low margins. The purpose of the promotion was to convince customers to buy additional, higher margin products like decorative items that they had not intended to purchase upon arrival, thus increasing average basket size and margin dollars. In this particular instance, the $50 off promotion increased average order size by $180, while the 15% off coupon increased average order size by only $30. Both offers achieved the goal of increasing order size, but the dollar off promotion performed significantly better by this metric. Why is that? It goes back to the psychology of the customer and the perception of the deal offered. $50 is perceived as more money in their pocket to spend elsewhere in the store. So, back to the riddle. Which is better – A $50 off promotion or a 15% off promotion, both on a $350 product? The percent-based promotion offers a slightly bigger discount than the dollar-based promotion. HOWEVER, psychologically the consumer views the dollar off promotion as the better deal so the $ off promotion is more popular, drives more sales for the targeted item, and increases average basket size, thus achieving the desired goal for the promotion. The factors outlined above are important to take into consideration when creating a promotion, but there’s no substitute for testing and data analysis. One of the best ways to compare promotional performance is to start with an A/B split on a small audience segment and analyze the actual vs. expected results before selecting the offer you will roll out to a larger audience. A structured test and proper data analysis is the best way to determine which strategy will achieve the desired results for your business. Through a sustained effort, companies can build up the internal capabilities, processes, and tools they need to more effectively evaluate and select promotions, roll out future promotions, and ensure that the entire process is aligned with their overall business strategy. There is no one-size-fits-all answer to optimizing promotional strategies. However, using the 20/20 data analytics platform, users can isolate historical data to identify patterns and measure performance so that they can easily make decisions that are backed by data. This is just one example of the actionable insights that can be obtained through enterprise-wide data analytics. 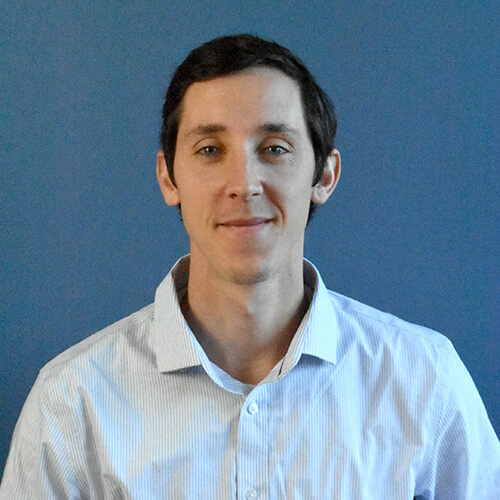 Patrick McPartlin has been with Agilence since 2012 and is currently the Manager of Application Support. He is an expert in 20/20 and has extensive experience working with customers to get the most value out of their data. When not digging through the numbers, Patrick enjoys bike riding, reviewing and overanalyzing product purchases, and spending time with family.